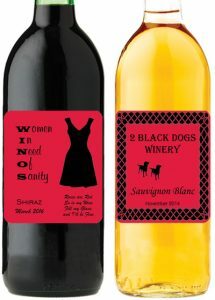 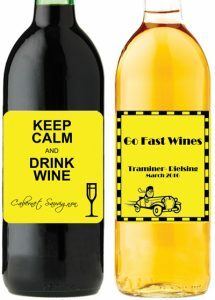 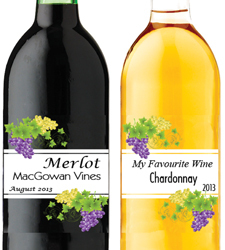 At Musca’s, we can make your wine look as good as it tastes! 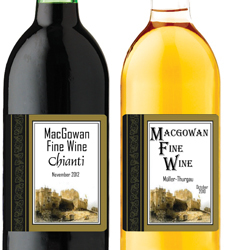 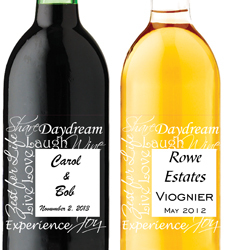 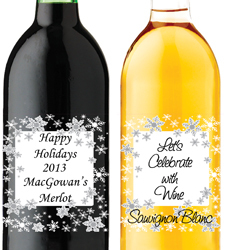 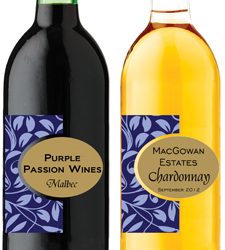 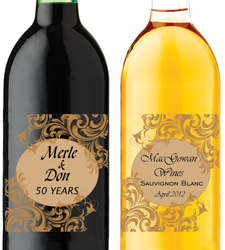 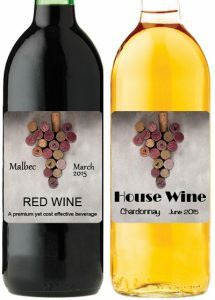 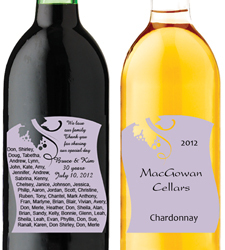 We can create a lasting impression quickly and easily with our new Mac Day Personalized Labels. 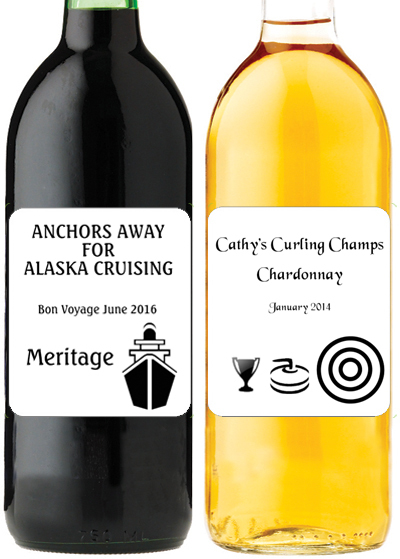 With over 60 designs to choose from, we can create personalized labels for any occasion, including weddings, anniversaries, birthdays, and more! 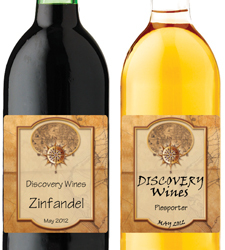 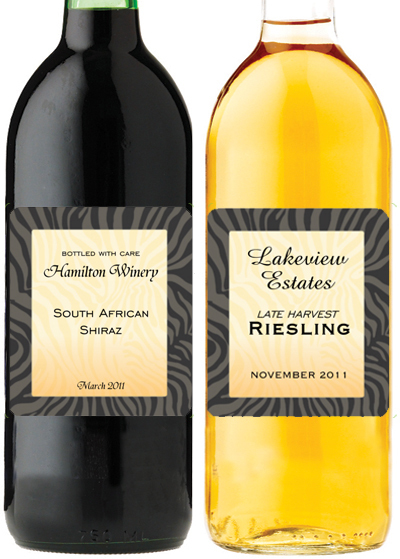 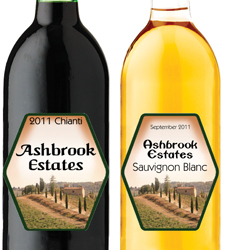 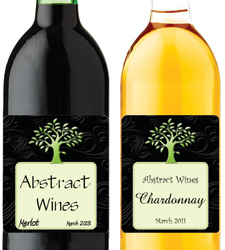 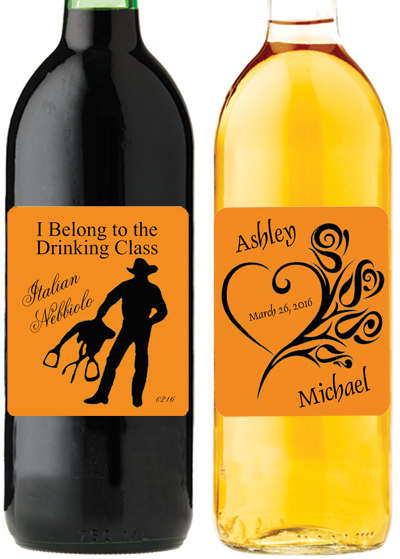 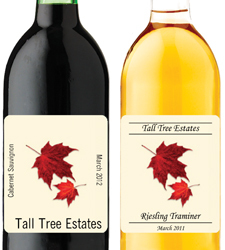 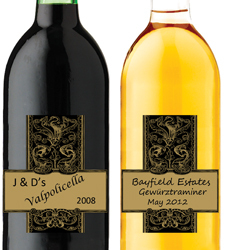 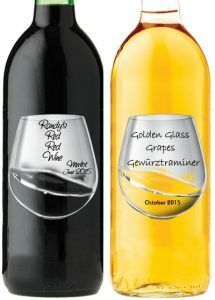 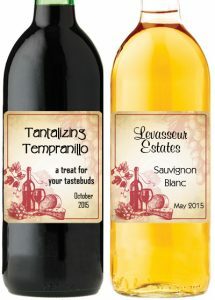 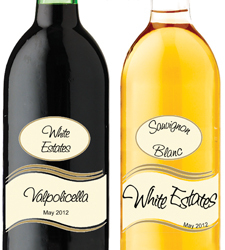 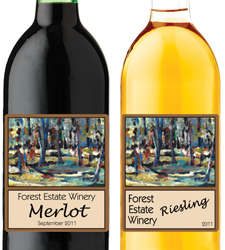 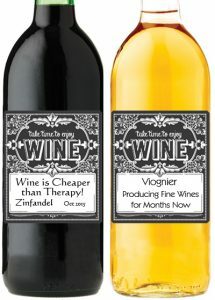 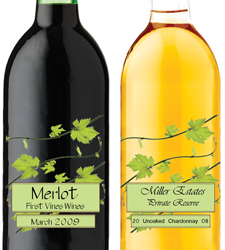 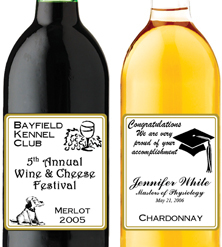 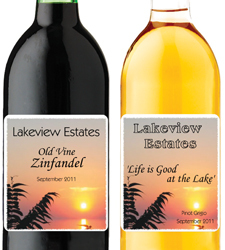 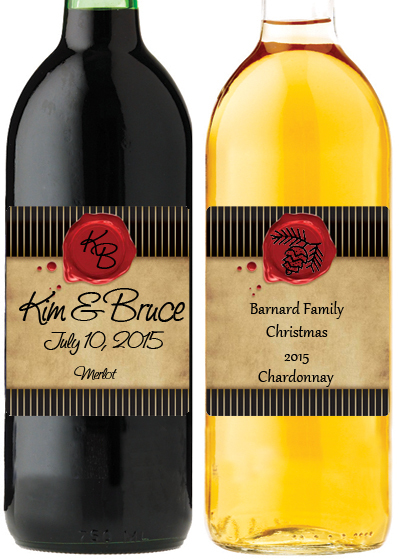 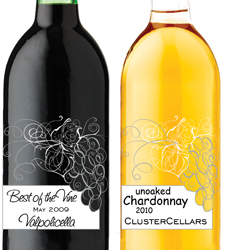 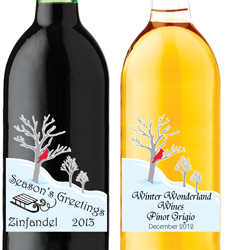 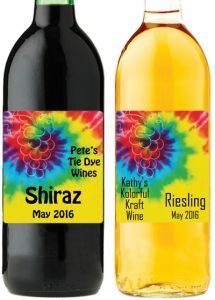 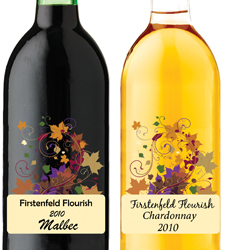 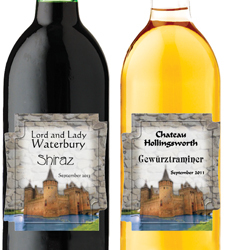 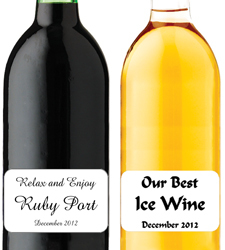 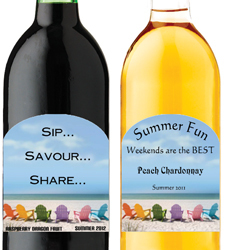 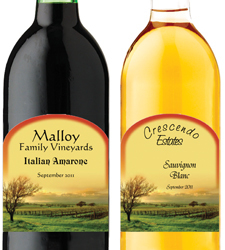 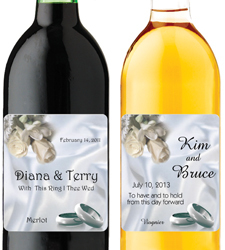 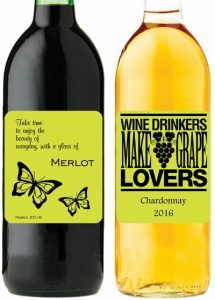 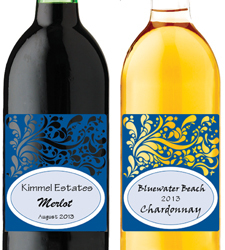 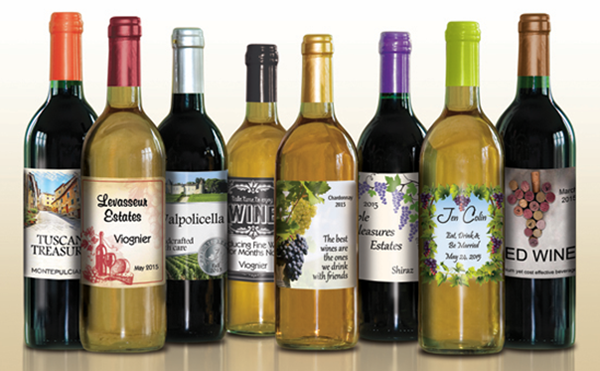 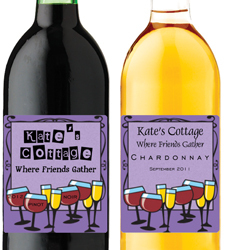 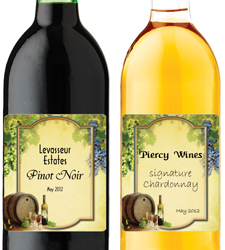 We can create your personalized labels for your special event in seconds. 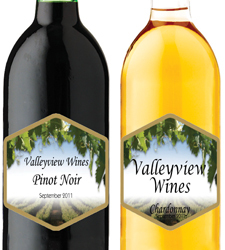 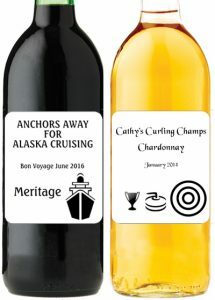 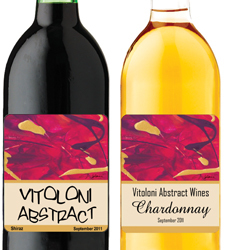 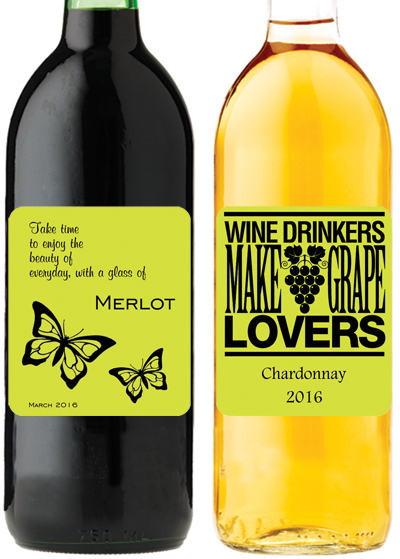 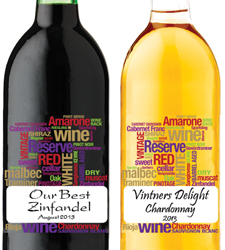 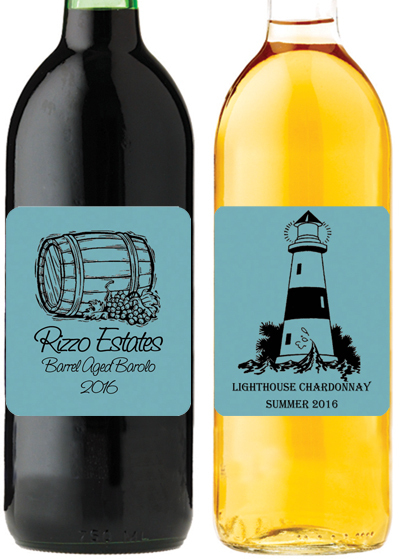 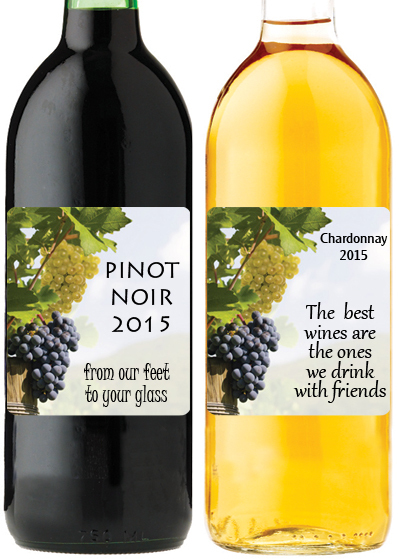 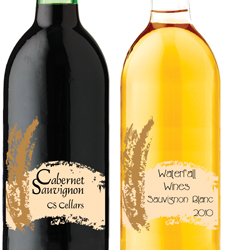 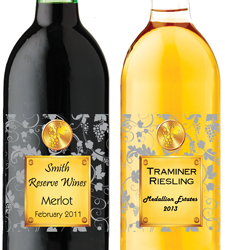 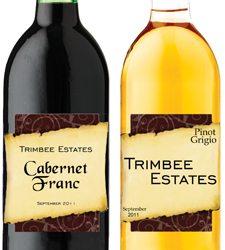 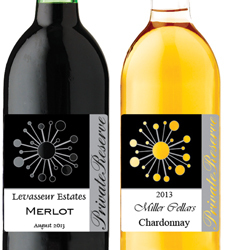 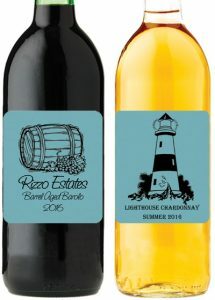 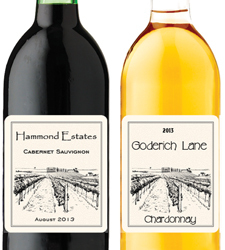 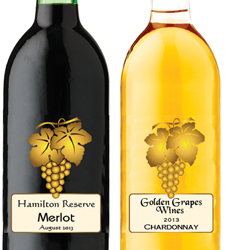 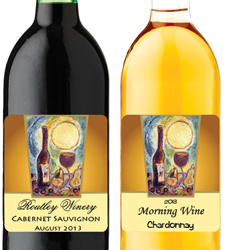 When paired with matching shrink caps, we can create a look as impressive as any commercial wine – a pleasure to serve, give, receive, and enjoy! 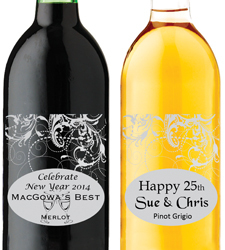 All personalized labels are crafted in-house by Carmen Musca who has 29 years of first-hand experience creating customized labels. 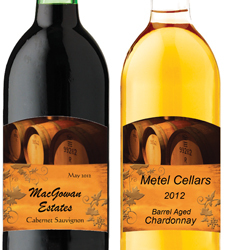 The Mac Day Peel and Stick Labels are quick and easy to apply and can be removed without water. 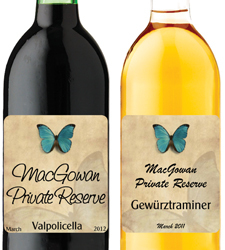 For the best results, we recommend removing the Mac Day labels slowly when dry so that they do not tear or break. Another great feature of the Mac Day Labels is that they are printed on a Thermal Transfer Printer, so your special event labels will not run or rub off if they get wet. If you would like us to customize your next special event, please contact Carmen Musca directly at 613-235-5050 or e-mail us at info@musca.com. 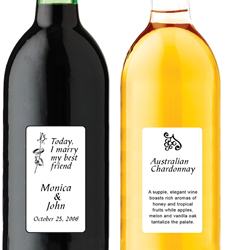 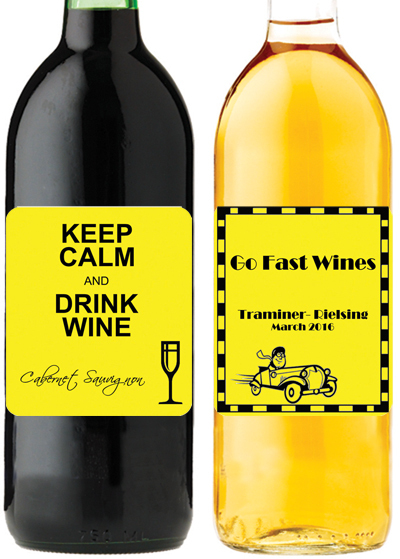 Custom labels can be completed within 24 hours!